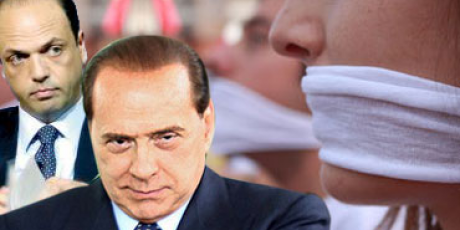 Avaaz - No to the gag law -- We won! No to the gag law -- We won! We urge you to vote against the approval of the DDL Alfano, and thus safeguard the core principles established in our Constitution, including the freedom of information and our right to be informed. It's outrageous! The infamous "legge bavaglio" is back on the table and Parliament could pass it any day now - only a massive public outcry can stop it. Berlusconi's coalition is in tatters, but as he goes down he is using his majority to bulldoze through the "gag law", which would fatally curb the power of our legal system to fight crime and corruption, and impose draconian penalties for editors, journalists and bloggers who try to hold politicians accountable. Last year, we fought this law and won. Now it is up to us again -- let's fight back to save our democracy! They could try to push this through anytime! Over 500,000 Italians are already calling on Parliament to reject the "bavaglio" law and protect freedom of the press -- let's get to 750,000 now! Click on the right to sign, then forward this to everyone you know -- the petition will be delivered directly to the members of Parliament and at every crucial vote over the next 2 weeks.